> King of the Ring. 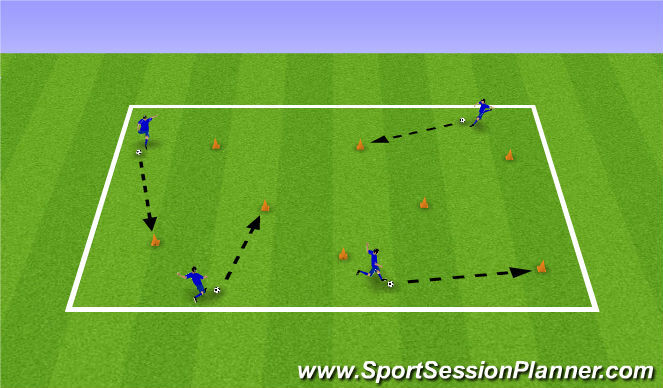 > players must dribble around the box while protecting their soccer ball. > they must also try to kick out other player&apos;s soccer balls from the box. > if the players ball is kicked out of the square they must chase the ball immediately. If they get to the ball before it stops then they can reenter straught away. If the ball stops before players gets to it they must perform 4 toe taps. > add in players without a soccer ball who can kick players ball out. > small touches when dribbling with soccer ball. > show players our back to protect our ball. > look to change speed with ball when player is close. > check shoulders to see where other players are. > 2nd Rep - 90 secs - can we beat our score from Rep 1? > 3rd Rep - 90 secs - split into 2 teams. One team will be Wreck it Ralph&apos;s who must knock over the cones with their soccer ball & the other team will be Fix it Felix&apos;s who must pick the cones back up. > 4th Rep - 90 secs - change roles. > small touches when dribbling soccer ball. > use any part of our foot to dribble. > strike ball with laces & follow through with shooting leg. > standing foot planted beside the ball & toe pointing towards our target. > chest over the ball to keep ball down. > split into 2 teams. > soccer balls beside coach. > teams will stand either side of coach. 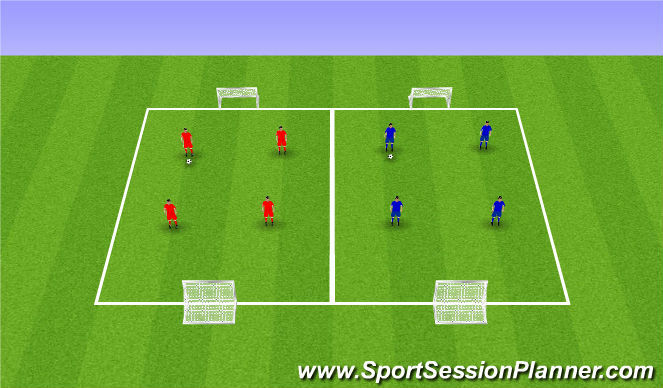 > coach will pass the ball into the middle of the field & one player from each team must chase after the ball to score into the oppositon&apos;s goal. 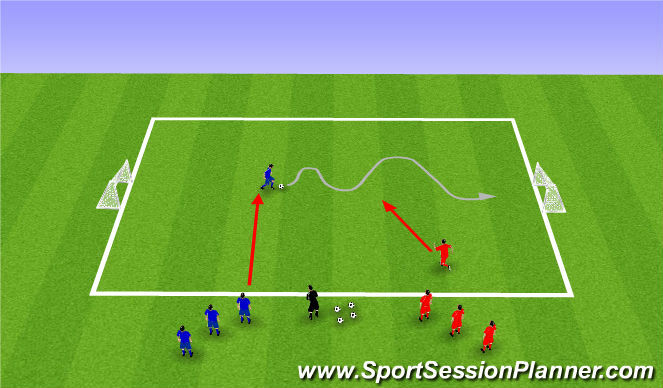 > if the ball leaves the field or a goal is scored the coach will shout &apos; GET OUTTA HERE &apos; & players must join the back of their line. > allow the players to play. > do not over coach.